Oliver Queen has done a fair job improvising in the wake of Caleb Green's attack. But even he can't stand alone against a Mirakuru-crazed mad-man. 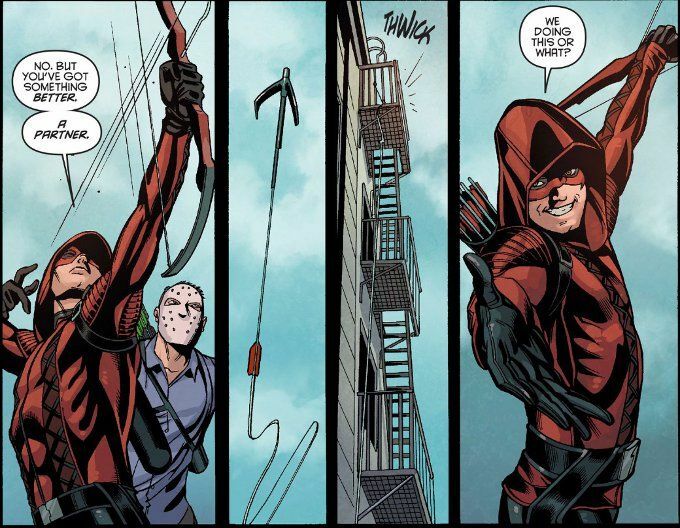 Luckily, Roy Harper is on hand to offer an assist... but will it be enough? There is a bitter irony to this issue given Colton Haynes' recent departure from Arrow. 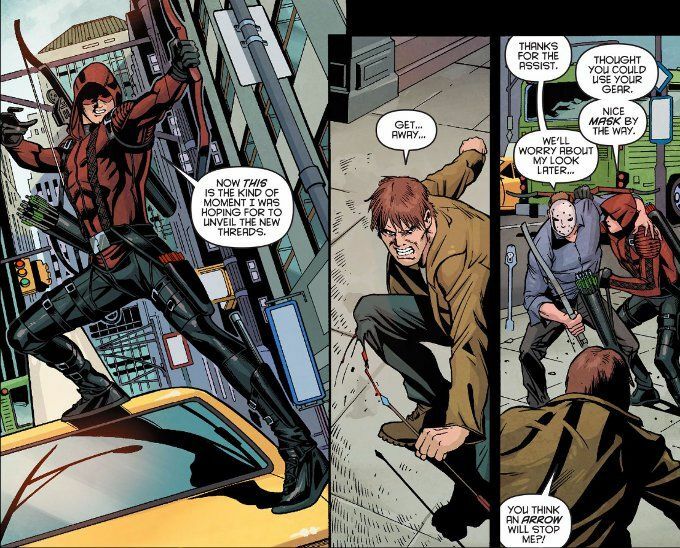 The script by Marc Guggenheim and Brian Ford Sullivan perfectly captures the playful spirit of Roy Harper's character from the comics but folds it well into the personality of the DCTVU version of the character. And the action sequences are very well written. Those action scenes are also ably illustrated. Joe Bennett is a great fight choreographer and Craig Yeung finds the right balance to the inks, neither too thick nor too thin. This comic looks as good as it reads.